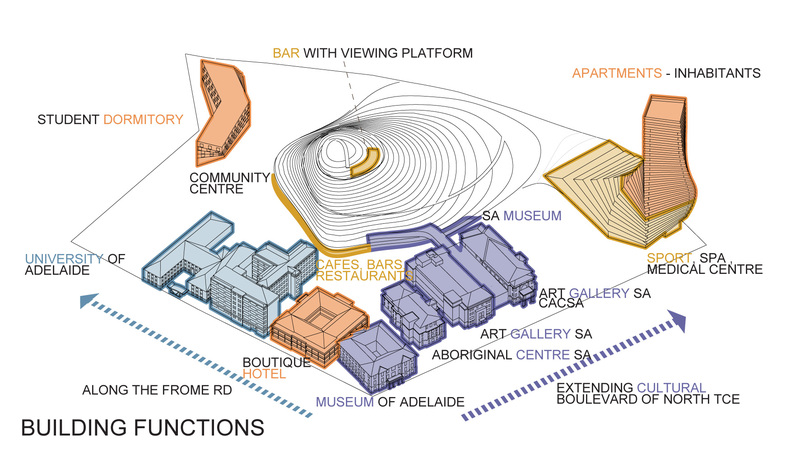 The Adelaide rocks is a new urban quarter. 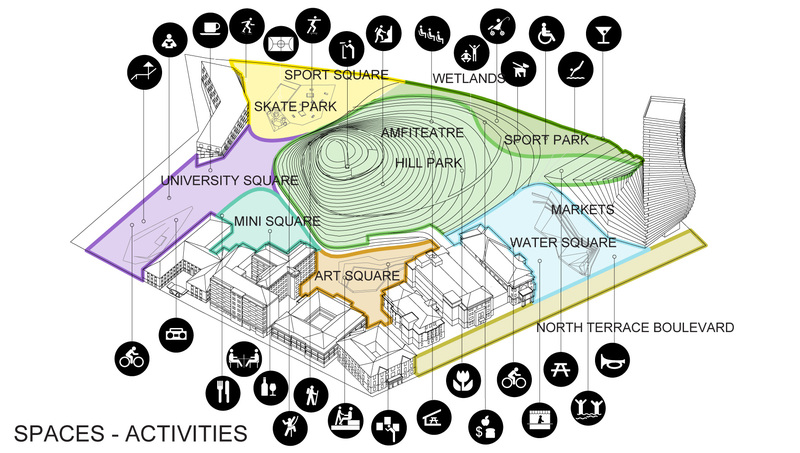 It is an engaging, unexpected, fun, active and multi-layered place built around sound ecological principles and economic sustainability. 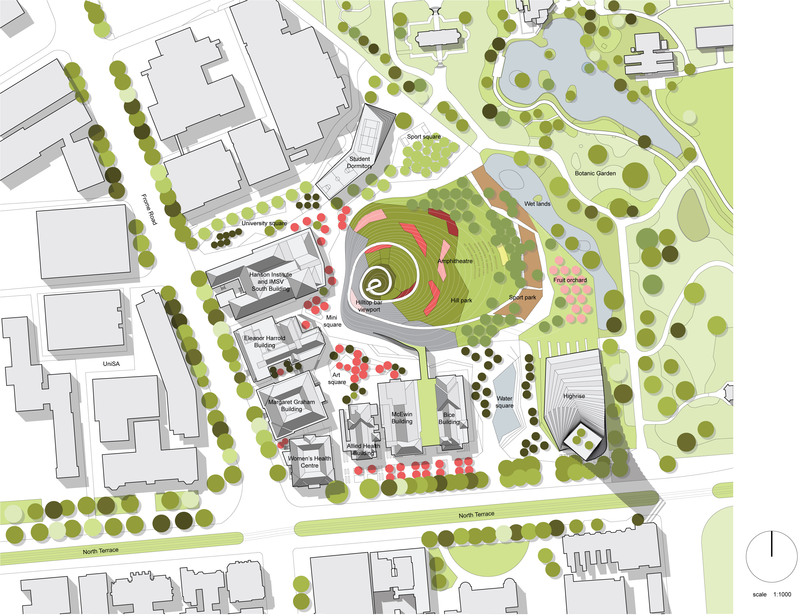 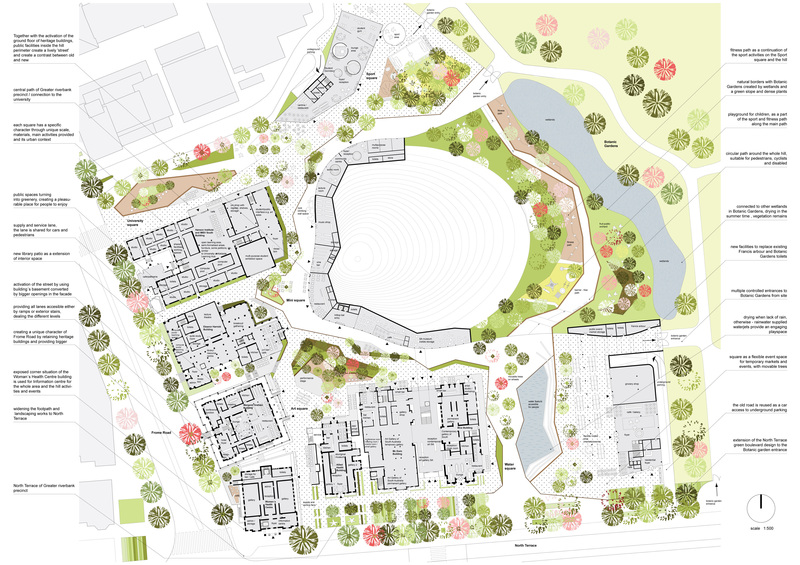 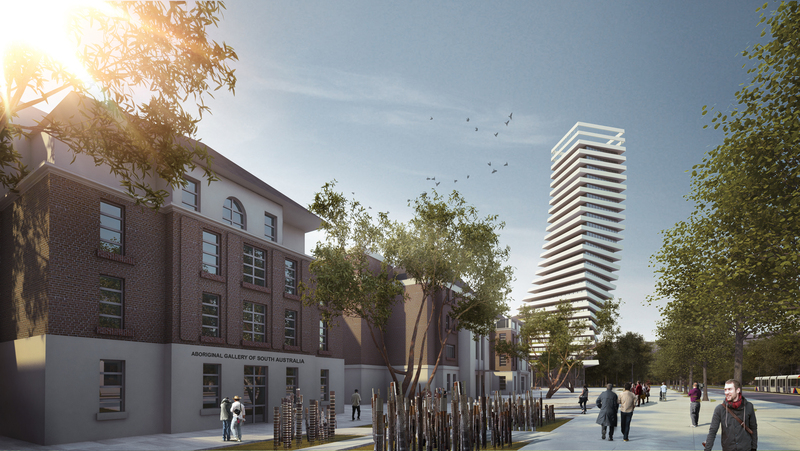 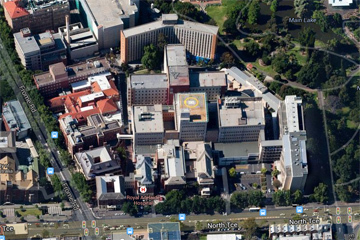 It will be a significant cultural and civic space that continues and consolidates the North Terrace Boulevard and Riverbank Precinct in Adelaide, South Australia. 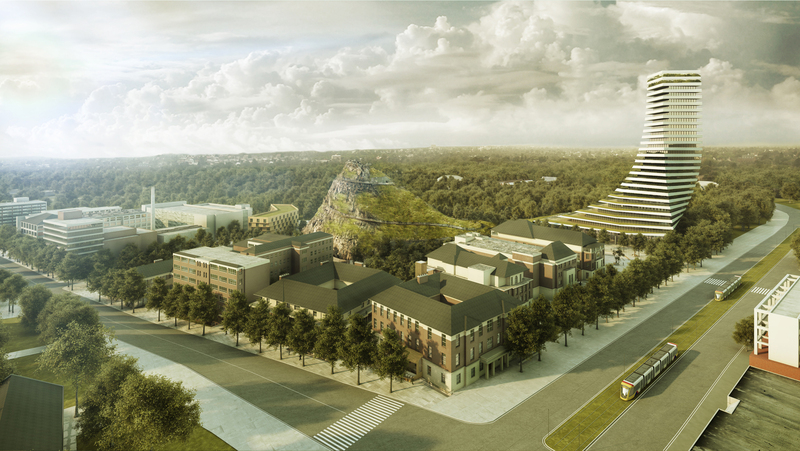 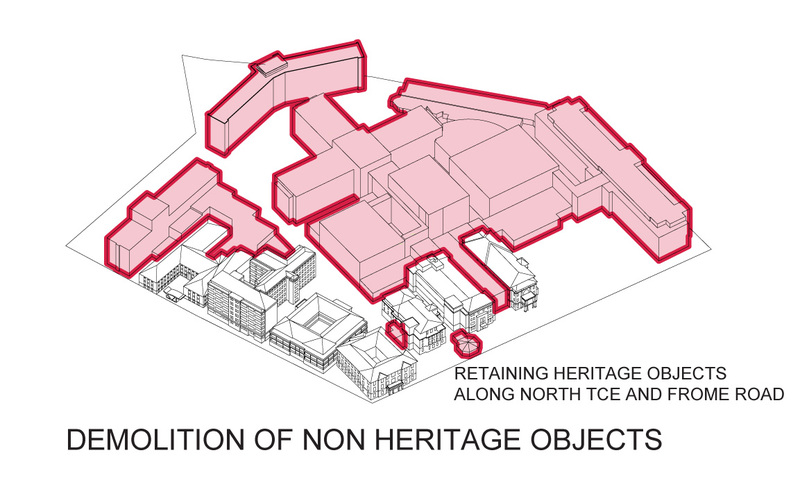 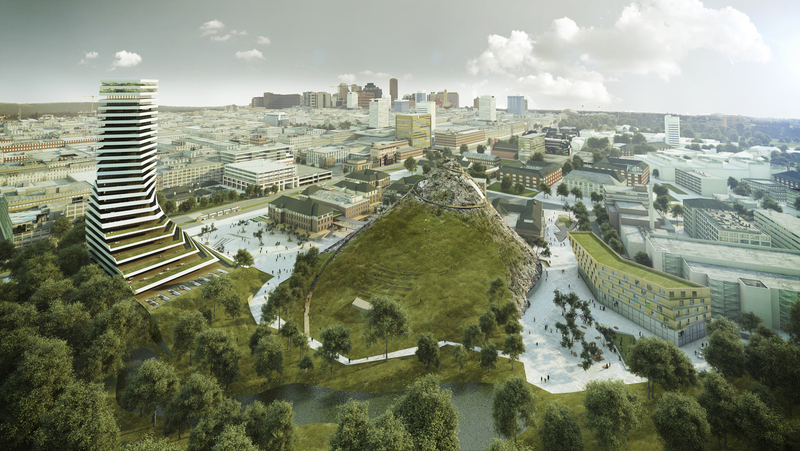 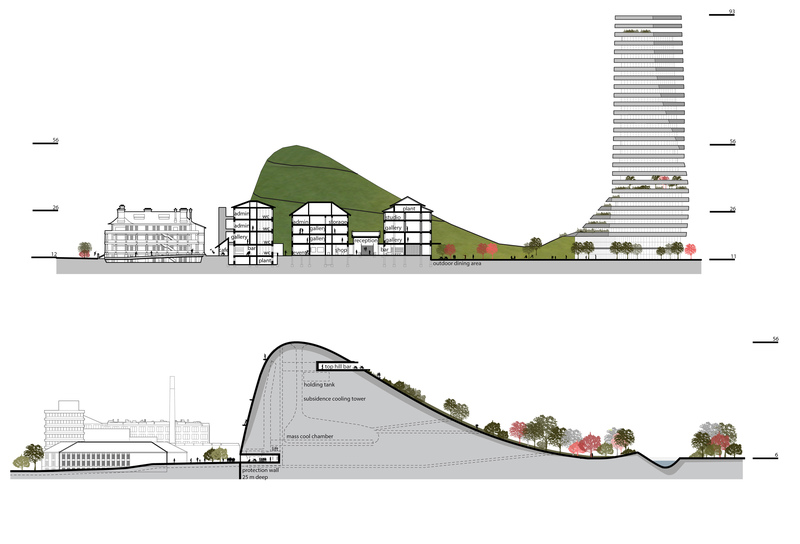 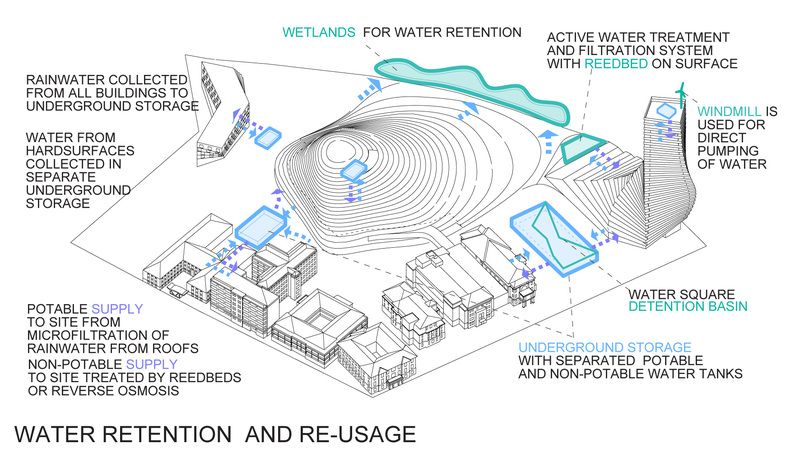 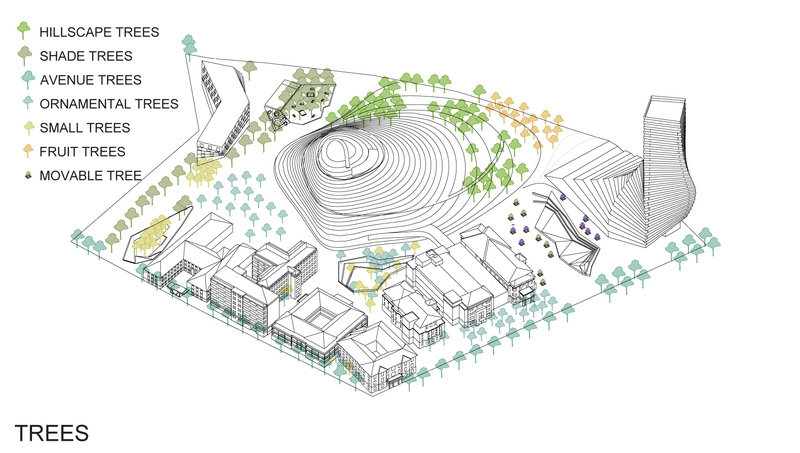 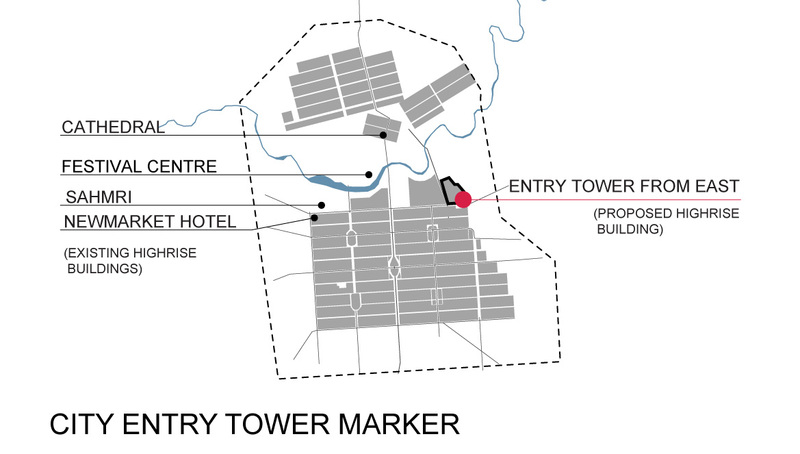 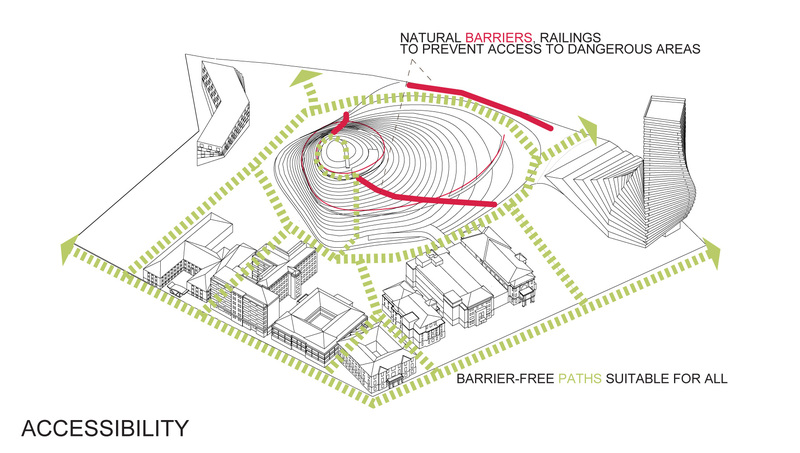 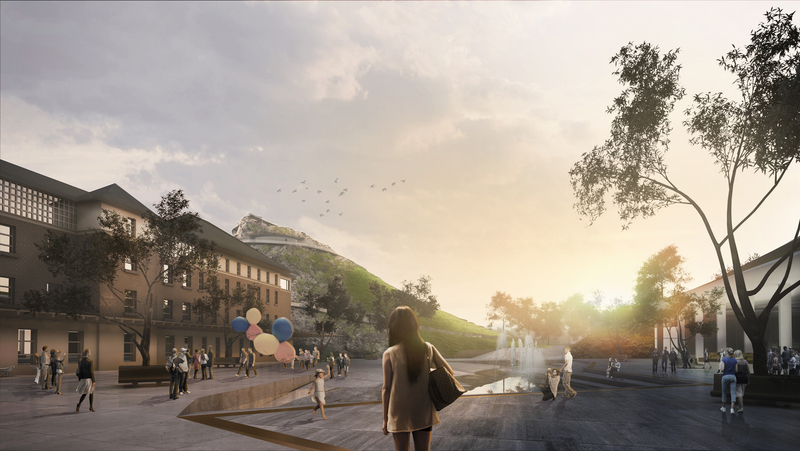 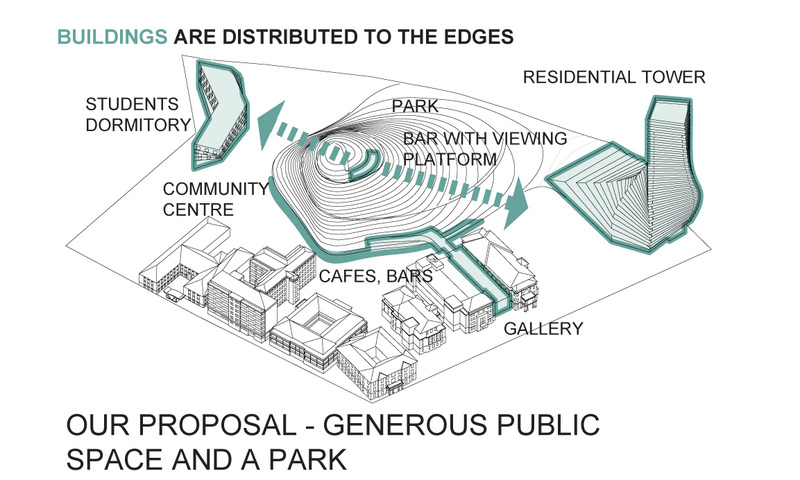 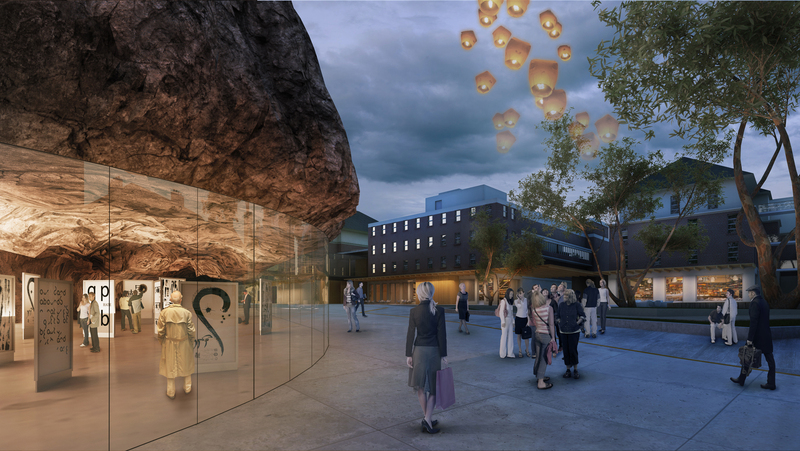 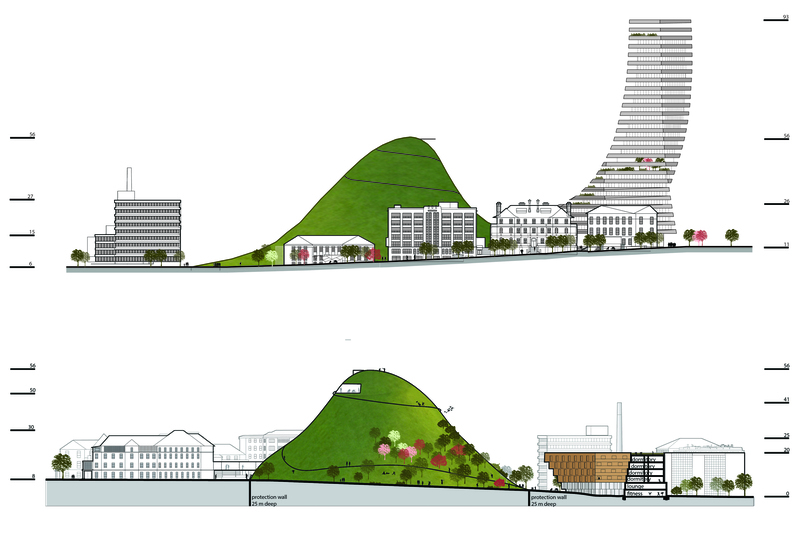 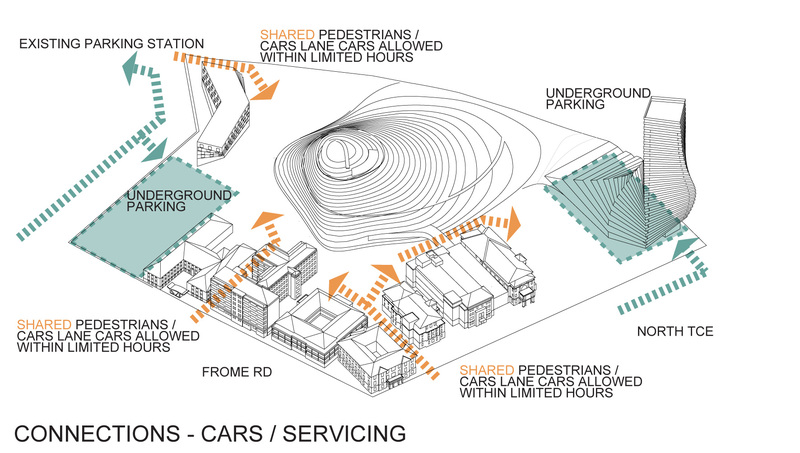 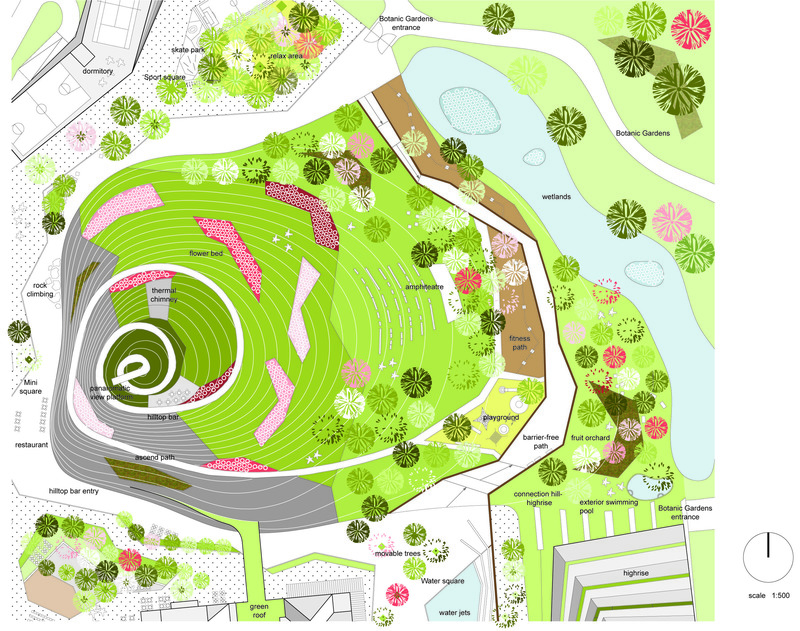 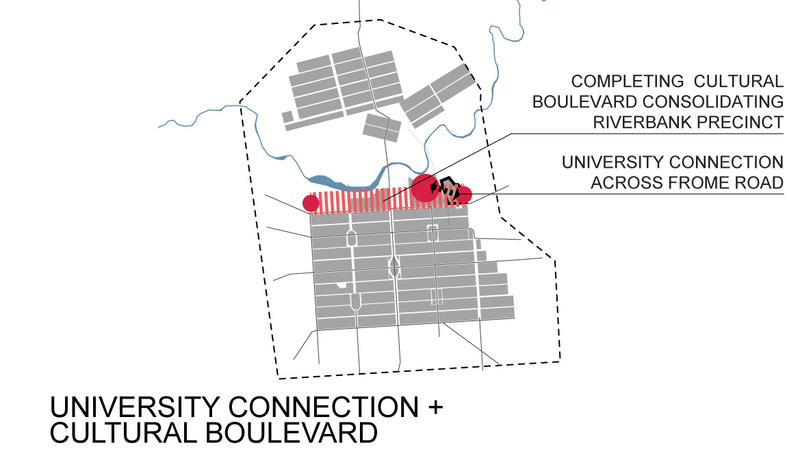 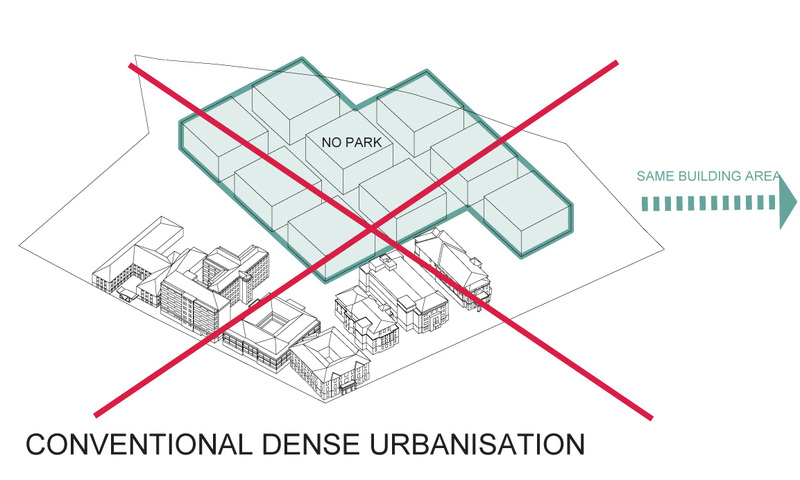 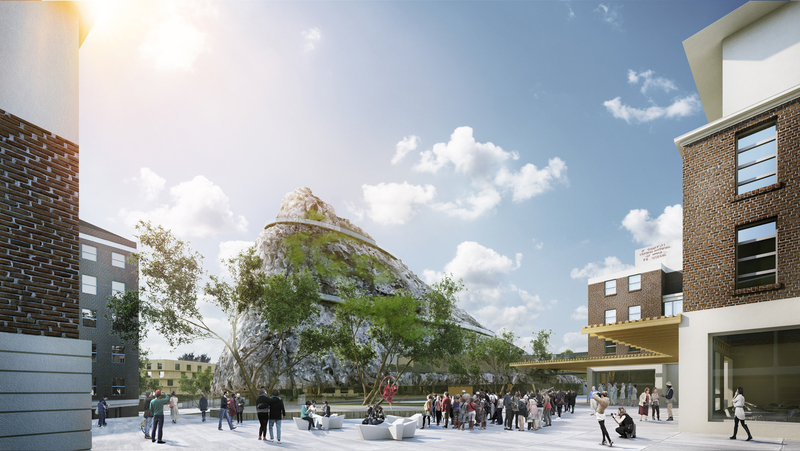 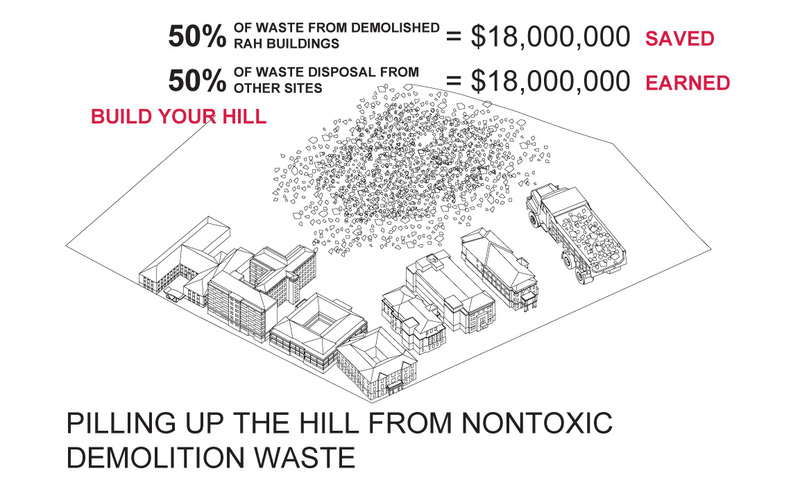 The core of the proposal is a massive urban gesture – a hill formed from the recycled building material of demolished buildings that turns waste into a positive, exciting, and unique urban space. 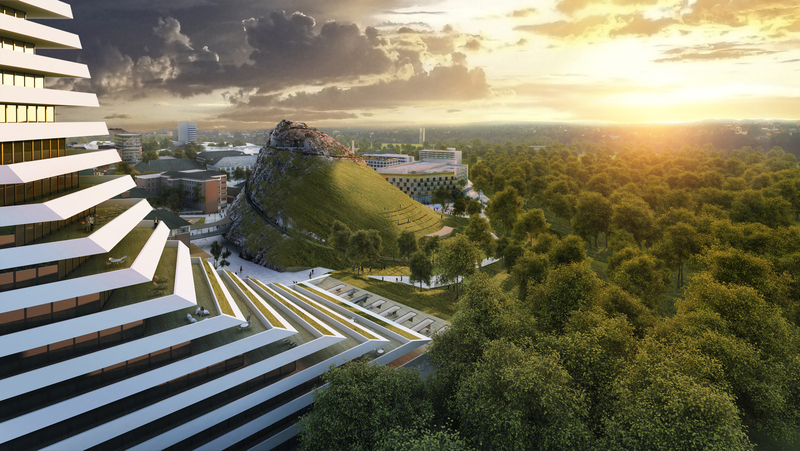 The hill provides a strong identity for the place, for the city and the State, and together with a series of embedded functions, creates a unique urban space that is quirky and engaging. 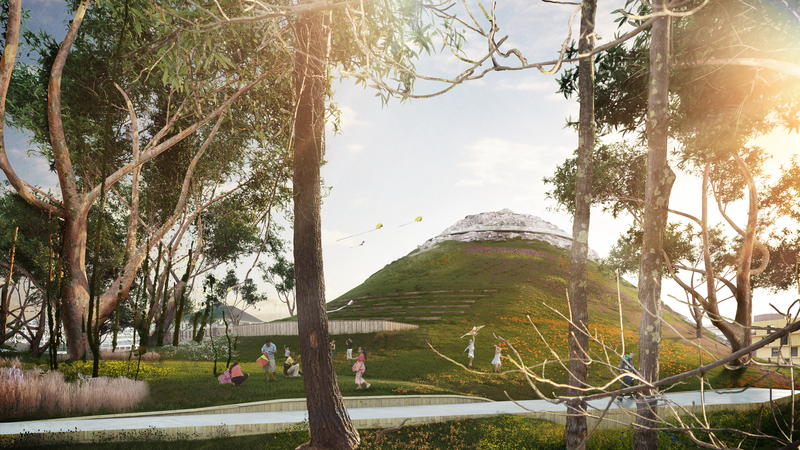 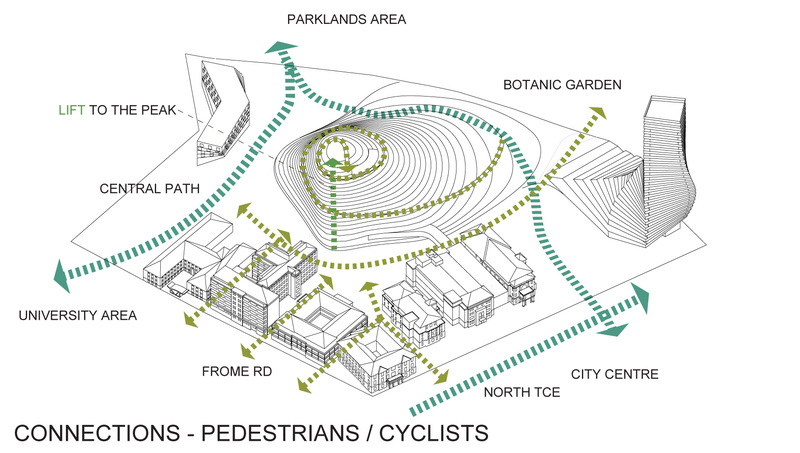 A green and vertical landscape that connects the city to the parklands, the hill provides active and passive recreational opportunities not readily available within Adelaide’s CBD. 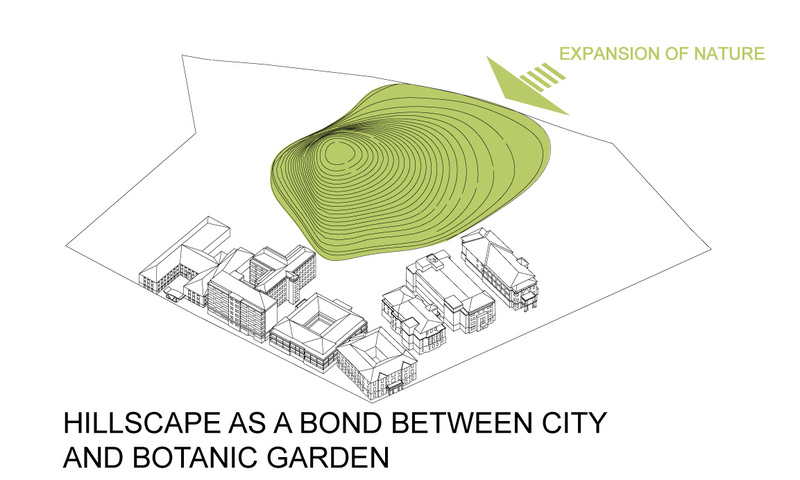 The hill also provides a series of ecological opportunities that are unique. 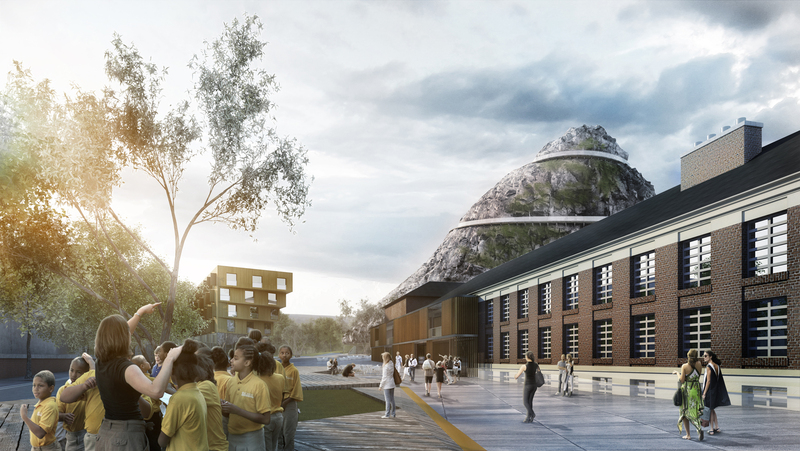 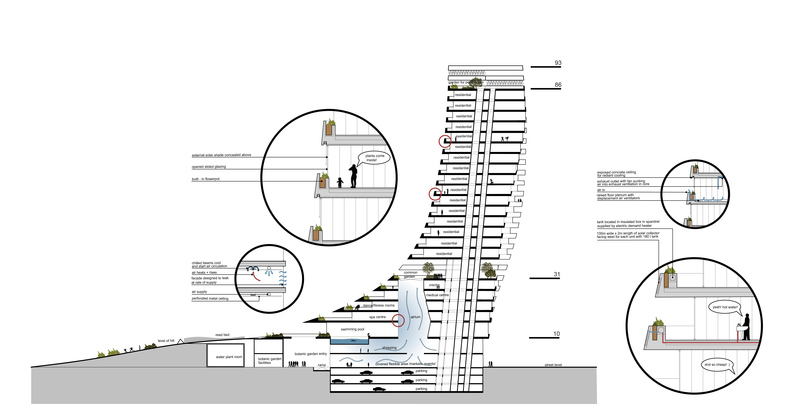 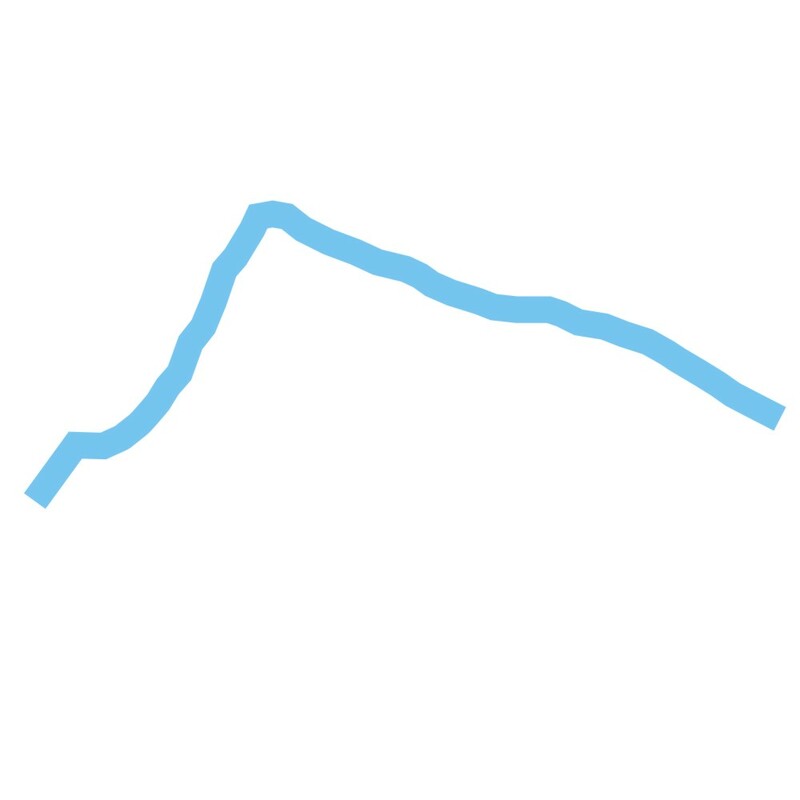 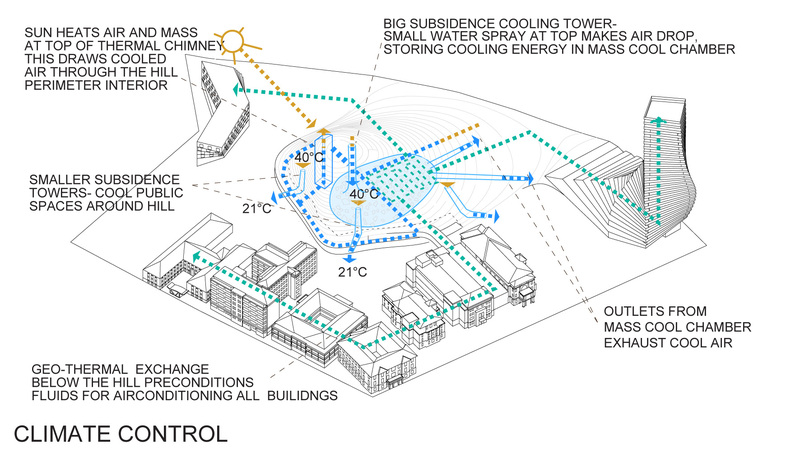 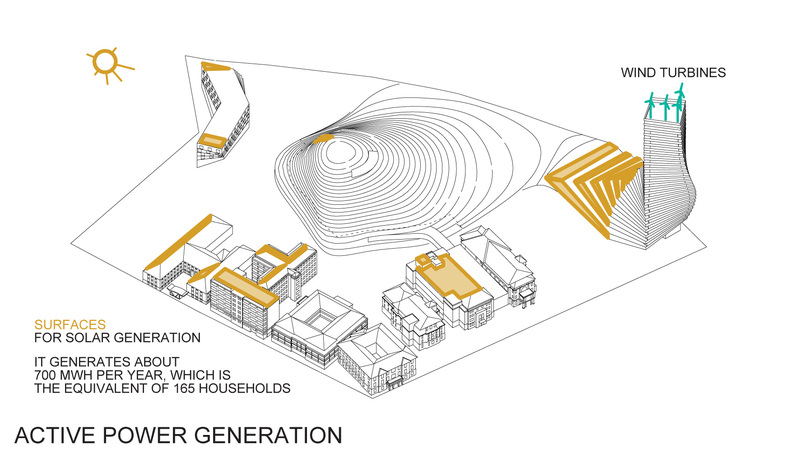 The mass and height of the hill supports the climate control of interior and exterior spaces throughout the site through subsidence cooling, geothermal exchange, heat extraction via a thermal chimney and the storage of cooling energy in a mass cool chamber.